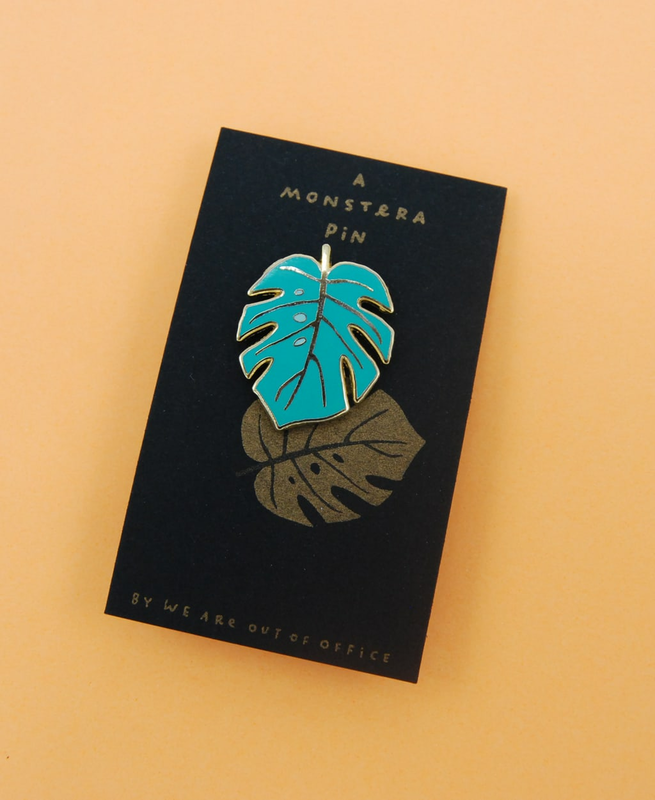 A Monstera enamel pin by design duo ‘We are out of office’ from Utrecht. Enamel pin for all occasions. Comes on a small riso printed card. Great to wear to a party, while shopping, to a wedding or even to the beach! Gold, green and greenish.